I need a new suitcase. My very modern, rolling Raspberry Coloured Suitcase (I think the more you travel the more you need your suitcase to be spotted easily so I just go with original colours, and if the colour is not enough, I usually add a ribbon: brown dots on pink, no mistake is possible) let me down. 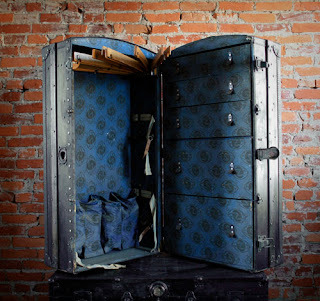 I wish I could use a vintage Suitcase but they are, unfortunatly, too fragile. 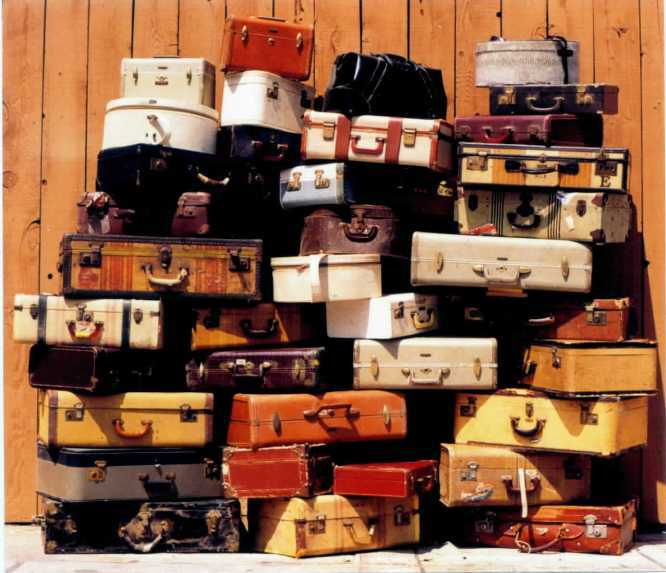 So the Hunt for a new Suitcase has officially begun! I can not remember where I found this picture, if you know, please, let me know.